GREAT BARRINGTON, Mass. - Feb. 14, 2019 - PRLog -- Based on a true story, The Shattered Oak is a book that gives the reader insight into the mind of a spousal-abused woman. As most accounts regarding mental health issues come from the medical or psychological viewpoint, we rarely feel the trauma the individual experiences. Barbara takes us inside her emotionally charged existence, letting us experience the anguish of domestic abuse, divorce, attempted suicides, and incarceration in a mental institution. A savior finally unravels the mystery surrounding the contributing factors to her dysfunctional mental state and leads her on the path to recovery. This book is a must-read for anyone going through domestic abuse or depression, including family members who are trying to make sense out of the situation. According to Dr. M. Tuttle, "We, as physicians, must always question that the obvious answer may not be correct. Medicine is a career of learning, unlearning, and learning anew as new diseases and cures are discovered. We should never avoid questioning a diagnosis or treatment as was well demonstrated by this book." The Shattered Oak reveals the circuitous path victims of emotional or physical trauma follow to make sense of their depression and suicidal thoughts. At a time when these maladies are on the increase, we should pay attention to potential triggers and look outside the box to find solutions. 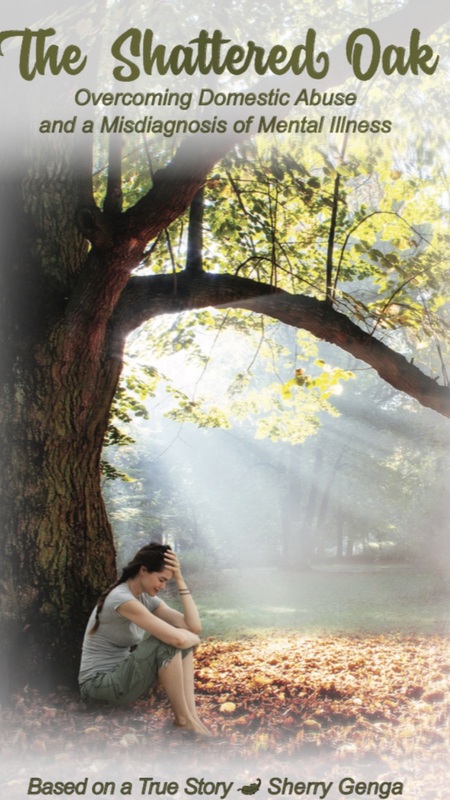 The Shattered Oak is a riveting account of Barbara's journey as she relates to the once alive and vibrant oak tree in her yard that slowly dies as she progresses down the dark path of mental illness. The author, Sherry Genga experienced Barbara's trauma first hand, "Growing up in a small town in Connecticut, I am a firm believer of everything happens for a reason. Barbara's story has a profound stance on the world. The more I share the story, the more I see a strong perspective of healing the delicate minds that are so unbalanced. I have learned so much while writing The Shattered Oak and feeling Barbara's emotional pain, that I have mapped out my own path for a more positive life." Still no answer for Heathrow crash?